Venturing is a co-ed, youth-run division of Boy Scouts, through which members have the opportunity to participate in a variety of high adventure activities. 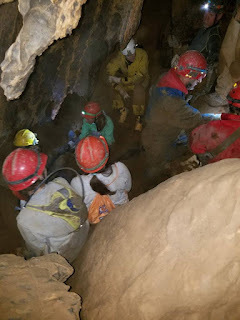 One such activity is the annual caving trip. Of course, for Crew 851, this does not involve your typical tourist-friendly cave with audio devices and hand rails. 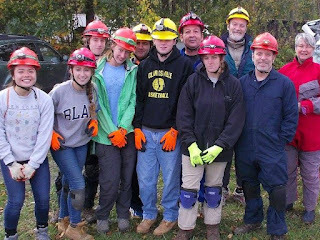 Instead, for a number of years, our adventurous bunch has preferred to crawl through damp, pitch-black tunnels and stumble through dusty caverns throughout MD and its surrounding states. 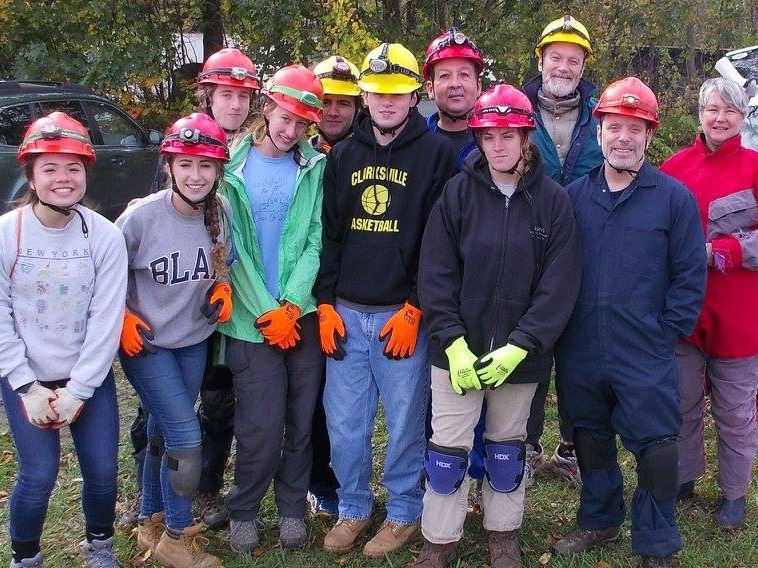 Thus, in the fall of 2016, Crew 851 embarked on yet another caving trip, this time, in the Cleversburg Sink Caves of Pennsylvania. After appropriate planning, involving permission form and tour plan creation, location selection, guide contacting, and gear briefing, our Crew was ready to go. So, on the morning of October 22nd, we drove to what, at first glance, appeared to be a deserted lot, featuring a disheveled garage and assorted debris. There, we met our experienced guides, who had led us on past trips, and together, we hiked a little ways to the hatched cave entrance. 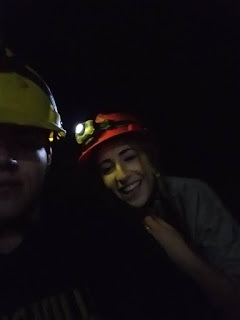 It is fortunate that our Crew members enjoy adventure, as our first challenges involved navigation down a few ladders with only the aid of our headlamps. We then began exploring the often tight, steep, or muddy passageways under the direction of our guides. They led us to some remarkable spectacles such as the sand room and pipe organ, so that we could appreciate the cave’s naturally formed beauty. They also did a ‘lights off time,’ enabling us to experience true darkness. A few hours in, we began our journey out of the cave, which was no less challenging or fun than the trip in. All the while, we practiced safety through our three points of contact and alternate sources of light. The adventurous youth often took alternate, more difficult routes, while some of the adults and first time cavers could opt for a less challenging options if they so desired. Therefore, it was a thrilling and incredibly fun experience for everyone. Finally, we emerged from the underground wonder, covered, head-to-toe, in mud, but glad we had embarked on such an adventure nonetheless.